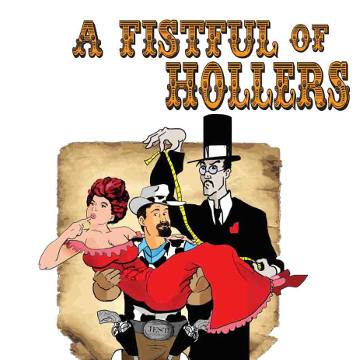 A Fistful of Hollers | Jest Murder Mystery Co. Welcome to the western town of “Dry Gulp”. You have been invited to a party thrown by Digger Deep. He’s the local mortician who is trying to drum up a little business. How does a funeral home drum up business? By inviting Nasty Nate, the local bad guy to the party. Surely they’ll be a “killin” or two. But guess who gets “kilt”? I guess we’ll have to call on that crack detective, Squint Leastwood to find out who did it! Someone you know? Or maybe it was you? Don’t forget to wear your boots, ’cause it’s gonna get pretty deep!